For the past one week I have been continuously searching for best to-do app which servers my taste. When I tried any new app, I found one or more reason to not-to stay with that app. Here are the few reasons which I usually encountered. Availability on other Platform: I personally looking for the to-do webapp which is available on almost all platform. Mainly I have been looking for-Windows To-do Software, Webapp and for my iPhone device. 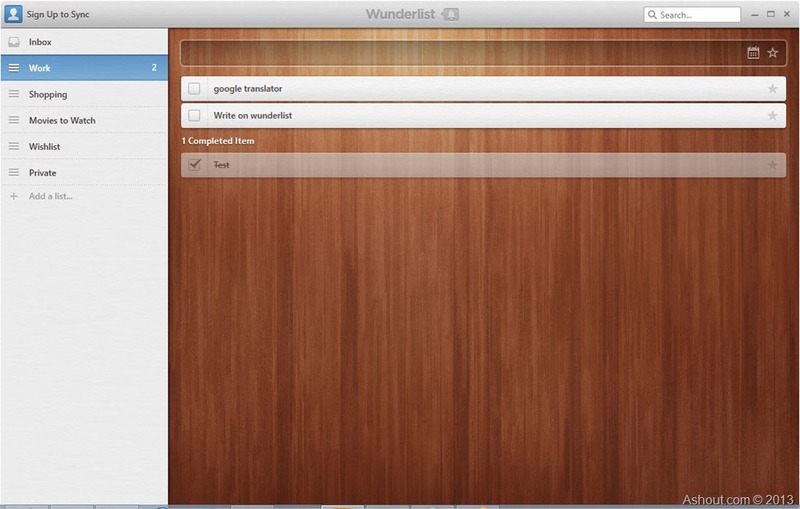 When I found any to-do app, I mainly noticed the lack of windows to-do software with their application. Offline To-do App: Some app requires free users need to have internet connection to access to-do list. This is the most annoying thing which I found on some popular to-do app. I was looking for some sort of desktop to-do software which don’t need any internet connection to work. Font Size: When it comes to to-do app, we are using this application for time management. When I tried any new application this is one of the most annoying thing which I frequently noticed. The font used on their application is too small which is not good to enter or read the to-do list. I will be straining my eyes if I start using those app. Which reduces my productivity instead of increasing it. User Interface: I was looking for very clean and simple interface. I don’t want my to-do app filled with lot of options which usually disturb my focus. Server Down: With one app, I even encountered the server down problem I don’t want my to-do app server should go down. It’s Should be Free: The app should be available free on all other platform. After keeping all those point I was still looking for an to-do app. 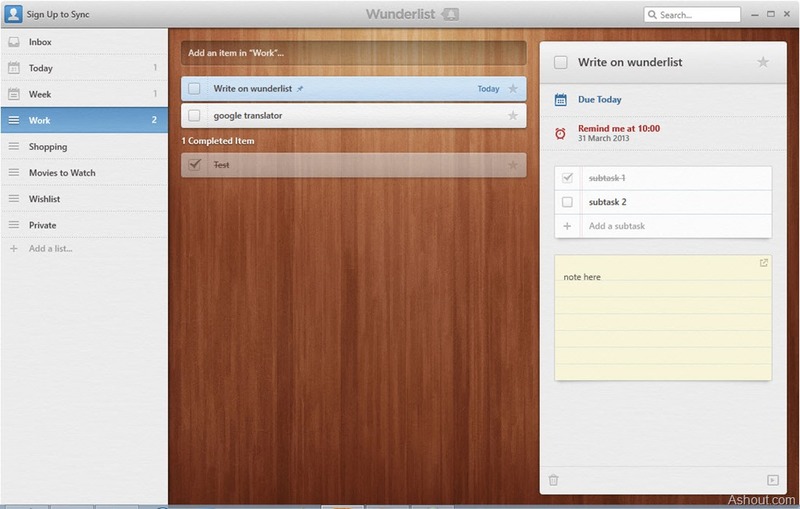 Later I found that wunderlist has launched it’s next version, that is wunderlist 2. I’m not new to wunderlist. I have tried it before. But now my hostel firewall has blocked that website so I cannot be able to access that site webapp. When I see new version, I found desktop version of to-do software is also launched and it won’t need any internet connection to work. When I tried that desktop to-do software, it was what I was actually looking for! Wunderlist 2 has lot more feature compared to any other to-do app. It solves all the problem which I have noticed on other to-do app.